KEN YUSZKUS/Staff photo. 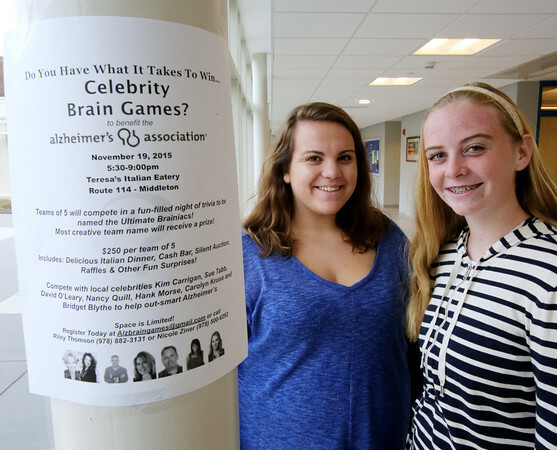 Danvers High School DECA students Nicole Ziner, left, and Riley Thomson both lost their grandparents to Alzheimer's. They are having a trivia night fundraiser and several Boston TV and radio personalities have agreed to attend "Celebrity Brain Games on Thursday, Nov. 19, from 5:30 to 9:30 at Teresa's in Middleton. 11/10/15.